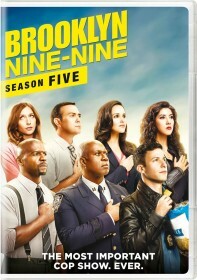 FOX has issued the press release for the April 29 episode of Brooklyn Nine-Nine, "Bachelor/ette Party". Charles plans an elaborate scavenger hunt for Jake's bachelor party, but the day goes awry when the guys decide to take some short cuts instead. Meanwhile, Amy's bachelorette party escalates when the ladies realize she previously slept with a member of her soon-to-be wedding band in the all-new "Bachelor/ette Party" episode of BROOKLYN NINE-NINE airing Sunday, April 29 (8:30-9:00 PM ET/PT) on FOX.